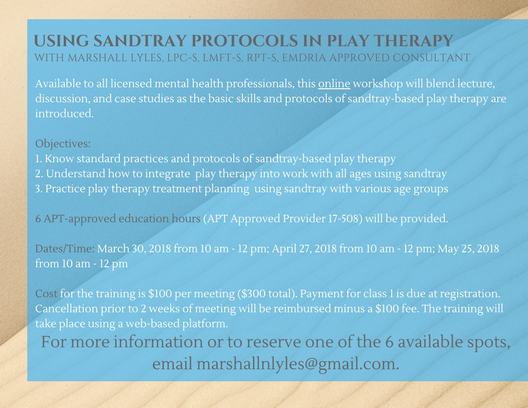 Marshall teaches and consults in sandtray therapy basic theory and protocol, attachment applications in sandtray, and trauma-informed sandtray. This can occur in classroom settings, small group formats, and 1:1 consultation. Enrollment in an attachment sandtray course is occurring now. Click here ​for information. To learn about an online sandtray basics class, click here. Case consultation occurs through online groups and in person. Participants present cases and receive coaching on sandtray processing and treatment planning. Marshall especially enjoys providing consultation on using sandtray in EMDR. Email for details. Mental health professionals deserve a space to receive the benefits of the modality they utilize with clients. 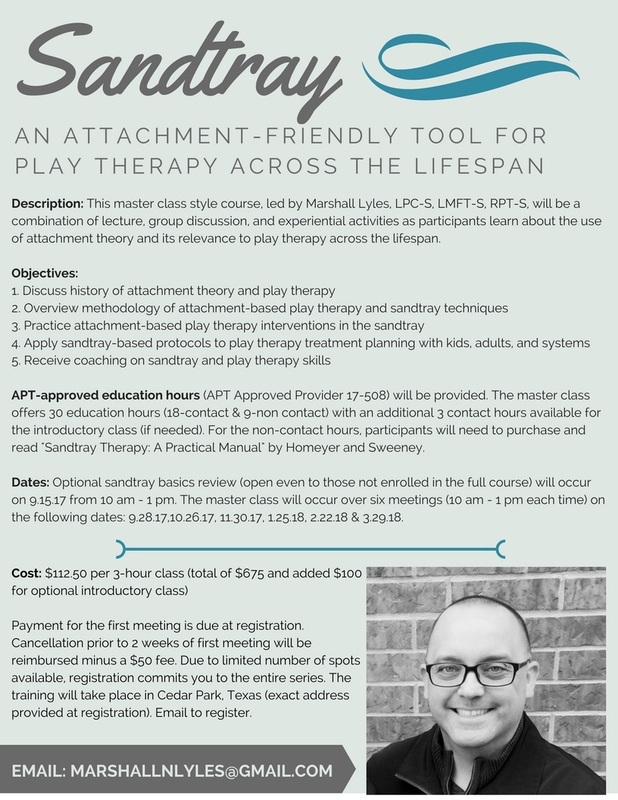 Marshall can present to organizations and sometimes runs small groups based on processing person-of-the-therapist topics through use of the sandtray.